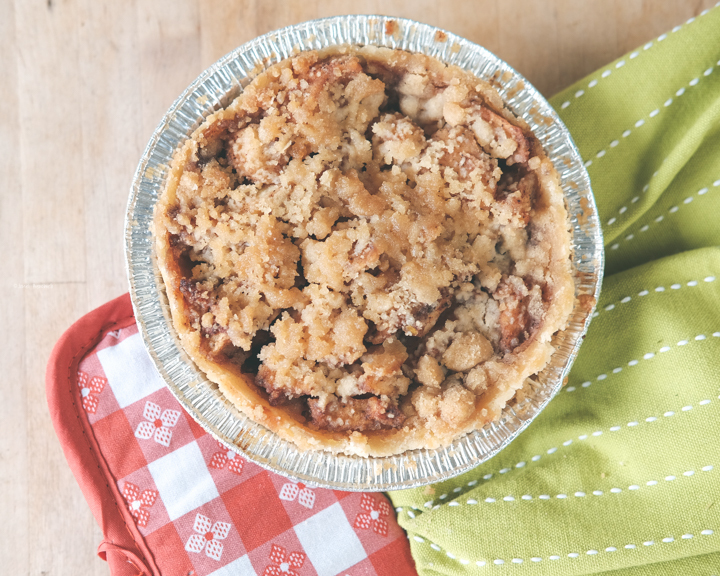 Who doesn't love Apple pie? While yes it is fairly easy to make one yourself sometimes having the convince of a pre-made one is nice. I often find new to me gluten free food when I least expect it. That is a good way to discover a new product as you are doing your regular grocery shopping. Sometimes it isn't in the budget but I felt like splurging. The name of the company is Raised Gluten Free. I admit I have not heard of this company before and I had to search the web to learn more info about them. It appears to be a small Northern Californian business with a very touching back story. This particular Dutch Apple Pie happens to be vegan, while I am not vegan, I know many people are. I also know I have some readers who are gluten free,soy free and dairy free so this review might be helpful. 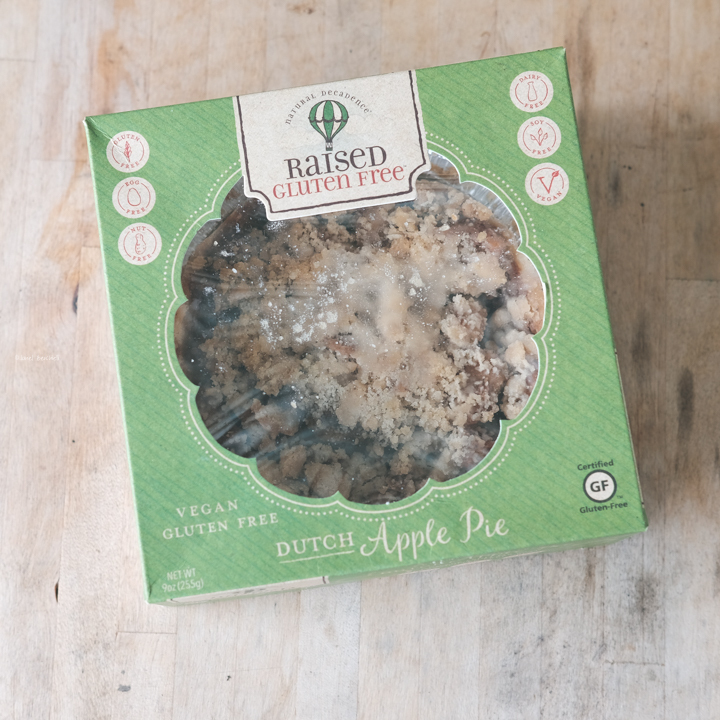 Natural Decadence Raised Gluten Free the Dutch Apple Pie was in my local grocery store freezer. I have never seen this brand before. On the label it says it is certified gluten free. It also has a vegan, egg free,dairy free and soy free highlights on the box. It is a small pie which I would say is good for 1-2 people but I think the serving size is 3. The ingredients appear to be all gluten free by my first glance (please verify for yourself to make sure it is safe for you). Unfortunately there are no directions on the box. I assumed it was precooked before frozen. It doesn't tell me to defrost it first or warm it from frozen. It is in a metal tin so obviously one can not microwave it to warm it unless you take it out and re-plate it. I defrosted it overnight in my refrigerator. Then I heated in the oven for 15 minutes. It smelled delicious. At first bite it was pretty good. My second bite was not so pleasant to my palate. For my personal taste the apples had too much nutmeg and clove. In the middle the crust was kinda soggy. 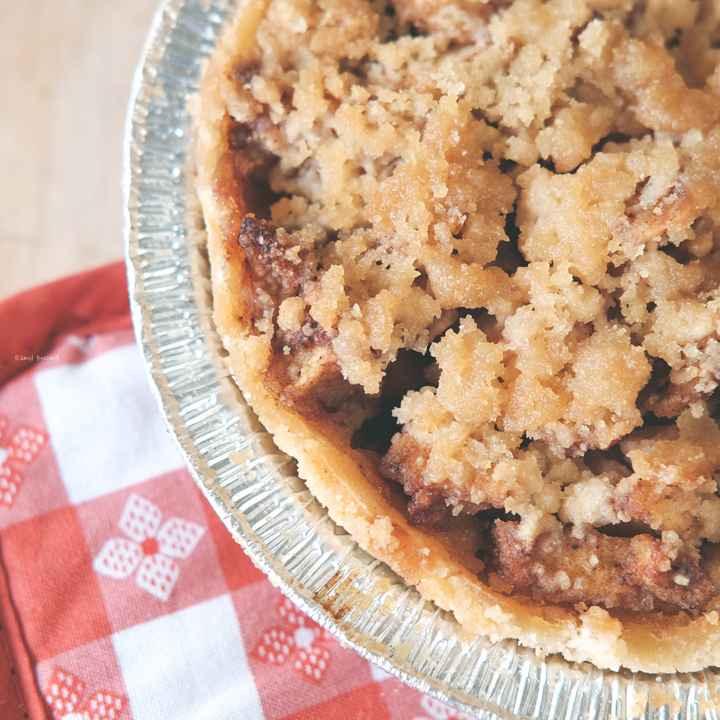 Soggy crust is not uncommon with gluten free pies. I was not overly impressed by this Apple pie. The overwhelming nutmeg and clove was too much for me, so I tossed it. Maybe to someone else who loves these flavors might enjoy this pie but it wasn't for me. It could just be my Pie wasn't fully mixed to even out the flavor. I would be open to trying something else in their line should the opportunity arise. This review is my honest and unbiased opinion. Feel free to try this for yourself and let me know what you think of it.